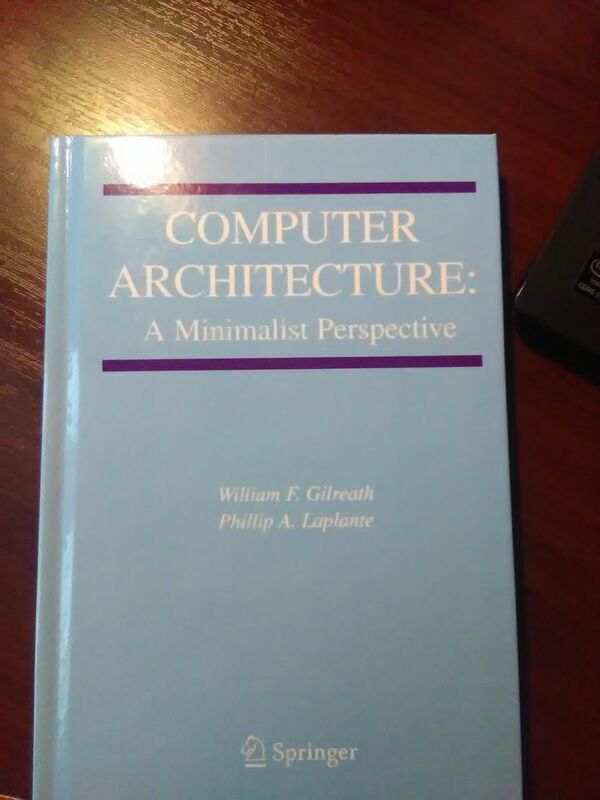 Computer Architecture: A Minimalist Perspective (The Springer International Series in Engineering and Computer Science) by William F. Gilreath and Phillip A. Laplante — 2003, ISBN 1-4020-7416-6. OISC stands for “one instruction set computer” — a computing system that relies on a single machine instruction. It can be shown that some of such designs can represent a Turing machine, that is, they are expressive enough to be considered true computers. I’ve tried to get this book for quite some time already. At first, it was too expensive to buy — a hundred British pounds plus delivery fees! What the heck? Finally, its price dropped by half, and by that time I had obtained an Amazon gift card for 50₤, and because of Brexit ₤’s devaluation was playing in my favor. I decided it was the right time to make a move. But then, the shipping company started to slack off. A month had passed, but the package was still not here; and no tracking method was present! I wrote to Amazon, and they refunded the shipping costs, but not the book’s cost. But at last, today I got a call from the local post office that a package was waiting for me. Now the book is in my hands.